Free Verse is an all-day bazaar, market, library, meeting place, performance venue, information resource and more. Celebrating the vitality of contemporary poetry in the UK, publishers and organisations both large and small, both experimental and traditional, display and sell their work direct to the public. Free Verse is managed by The Poetry Society. 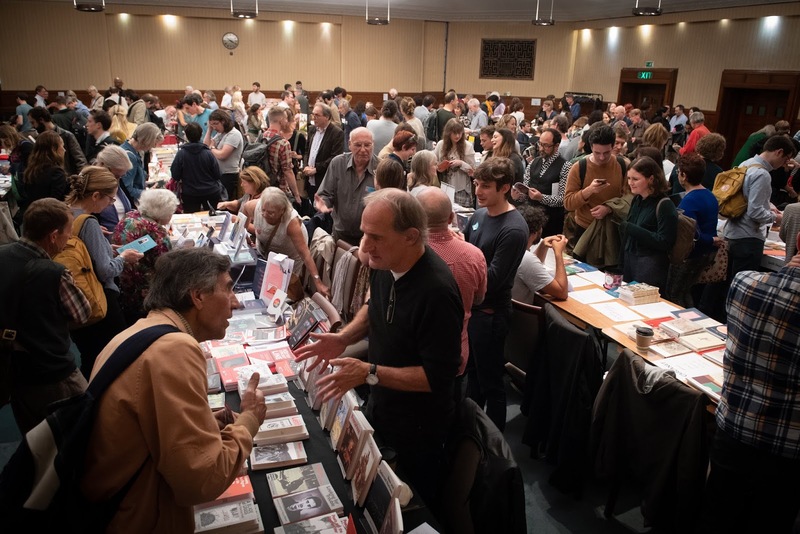 We look forward to building on the sturdy foundations of Free Verses past to bring publishers, poets and poetry-lovers together for future festivals of sales and celebration. Update April 2019: we will shortly be announcing the first details of this year's Fair. Potential Exhibitors and Would-Be Visitors: check back for information, and for more details about Free Verse and other Poetry Society activities meanwhile, sign up to our mailing list, or follow us on Facebook or Twitter.